CLEAN TITLE! This vehicle is at 111 W. 800 N. Orem, UT 84057. 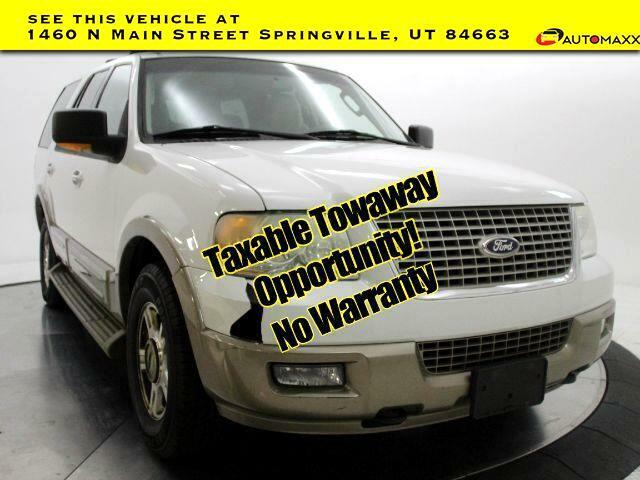 2004 Ford Expedition Eddie Bauer We are offering this vehicle for sale to the PUBLIC instead of selling it at the AUCTION. These are mostly Trade-ins. Some are drive-able with minimal issues and others may need to be towed off site. These are AS IS and it will be up to the customer to do their due diligence before purchasing and to obtain their own license plates. There are some great BARGAINS here and worth your time to check them out. www.utahautomaxx.com --- 801-224-5333 Se Habla Espanol.